Starting a new farm comes with many challenges, start-up costs are high, and access to land can often be a deal-breaker for those who do not yet qualify for a mortgage. By helping farmers access farmland, we hope to support the creation of successful, sustainable, organic farming businesses while protecting farmland in Ontario. The Forever Farm Program provides a supportive solution for farmers with limited credit history, who do not currently qualify for a typical mortgage. A rent-to-own arrangement is simply a Land Lease combined with an exclusive Option to Purchase the property in the future. The farmer would enter into a Land Lease agreement based on market value rent for the property. The Option to Purchase gives the farmer the option, but not the obligation, to buy the property at a future date. Orland Conservation would hold property title until the farmer is eligible for a mortgage. Instead of a fixed lease expiration date, the agreement will outline flexible rollover dates. The future purchase price for the farmer would be determined by establishing an average annual appreciation rate for farm properties in that geographic area. This mutually agreed upon rate is established at the time of the agreement and would be honoured even if property values are higher in the future. Institutional lenders typically require a minimum of 30% down. To qualify for this program, the farmer is required to provide a deposit of only 15% of the land purchase price. This deposit is 100% credited towards the farmer’s future purchase of the property. Over the Land Lease term, the farmer would pay monthly market rent and a monthly Lease Option fee. The Lease Option fee is credited, in addition to the farmer’s initial down payment, to the property purchase if the farmer wishes to exercise their Option to Purchase in the future. Orland Conservation can also provide services to help pair the farmer with a mortgage broker. The Lease Option fee will be negotiated based on the farmer’s budget and business plan. Flexibility may be provided to allow for smaller payments in non-harvest times and higher payments during harvest season. Orland Conservation is an environmental consulting group and social enterprise based in Guelph, Ontario. We provide environmental project services and conservation expertise to promote ecological health in urban and rural communities with a focus on land conservation and food security. 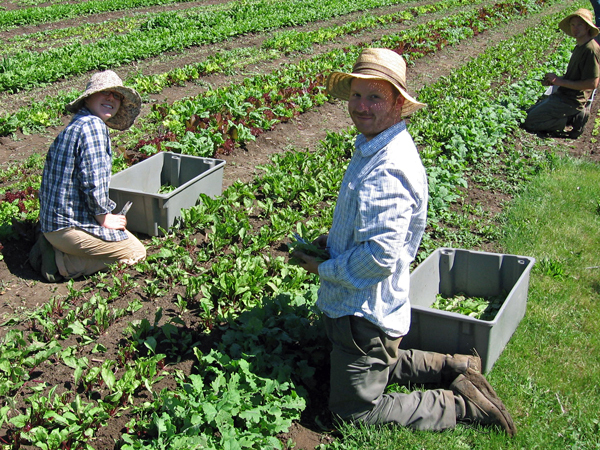 From 2009-2015, Orland Conservation operated Backyard Bounty, Ontario’s premier urban farming social enterprise in Guelph. Backyard Bounty was an urban agriculture CSA program to convert unproductive private land into organic gardens in partnership with landowners and businesses in the community. Achievements include starting organic produce markets at the Trillium Waldorf and Guelph Montessori schools, and donating organic produce to the Guelph Food Bank. The aim of the initiative was to increase awareness about sustainable urban gardening and organic food production while providing nutritious food to the community. 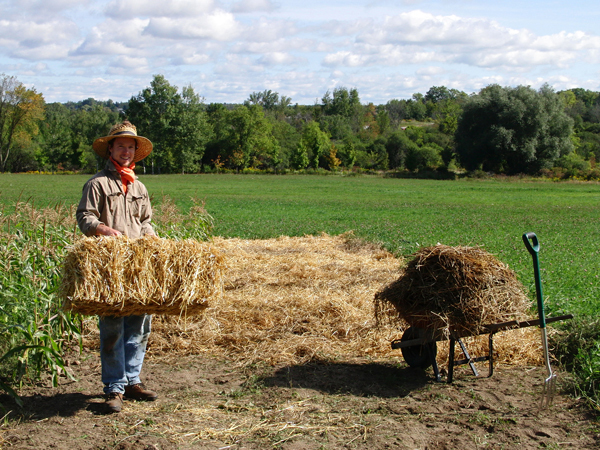 In 2016, Orland Conservation concluded the program and we have now shifted focus to our newest initiative, the Forever Farm Program, to provide direct farmland acquisition support to new organic farmers while ensuring long-term protection of Ontario’s farmland.